Fracking, the buzz-word that has become part of the environmental vernacular of late, is short for hydraulic fracturing. 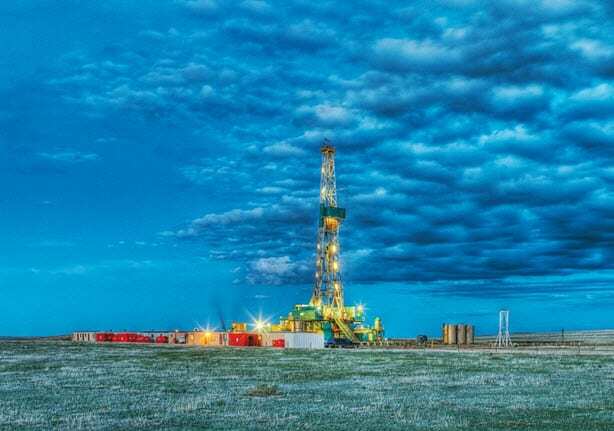 Hydraulic fracturing is the process by which a mixture of certain chemicals are mixed with water and then pushed deep into the shale rock beneath the earth’s surface. The point of fracking is to create cracks, or fractures, in the shale out of which can be extracted oil or gasses. After the rock has been fractured, the chemical mixture is removed. So, what’s the big deal? Why is fracking so controversial? According to some studies, fracking can have adverse effects on air and water quality. Studies have shown that living in close proximity to drill sites raises the risk of a variety of health concerns associated with toxic exposure, such as shortness of breath, chronic fatigue, skin irritations and coughing. In addition, the volatile organic compounds (VOCs) that are emitted through fracking are believed to be linked to higher rates of certain types of cancer and higher-than-average incidences of fetal abnormalities. The fear is that the potentially carcinogenic chemicals could leak into the water source and cause a widespread threat. In fairness, it’s important to note that most drinking water is sourced from only a few hundred feet below the earth’s surface, while fracking occurs many thousands of feet beneath the surface. Also, it is believed by some that by drilling deep into the earth’s surface fracking heightens the risk of earthquakes in some regions. States such as Texas and Oklahoma, areas where earthquakes have been historically quite rare, have seen increases in seismic activity since companies have started their fracking practices in those areas. Fracking has been a political and environment hot button, both for concern citizens and for companies in the energy industry. Energy companies are currently in the process of trying to find ways to drill even deeper into the earth’s surface to allow for the extraction of even higher levels of gas. For obvious reasons, environmentalists strenuously oppose this ideal. Even if the true long-term consequences of fracking (either as it is done today or the deeper methods that may be explored in the future) are not yet known, the potential for such disastrous effects will always raise red flags. In recent years, fracking has been one of the most controversial practices to face opposition from those who believe it is harmful to the environment. Until it can be conclusively proven that fracking does not pose these threats, it will always be a hotly contested process.